Silk has a shimmering appearance with interrupting patterns of weave because of the natural fiber. Silk sarees are considered to be the attire of elegance. There is a varying range of silk sarees available and Kora silk is one such popular silk saree. You can now buy Kora cotton silk sarees from Craftsvilla. The fabric of Kora silk comes from Varanasi or Benaras. It is popular for its smooth and sheer texture which is much dull in comparison to other silk. Whether they are coarse or fine, the Kora silk sarees are strong. The fabric of Banarasi Kora silk wonderfully blends with colours and offers it an exquisite look. You can also get it in a blend of cotton and the pallu of this saree has motifs in jacquard patterns or zari embroidery in cotton or silk. At Craftsvilla, you will find a varying range of these Banarasi Kora silks. We bring to you Kora silk at an affordable price. 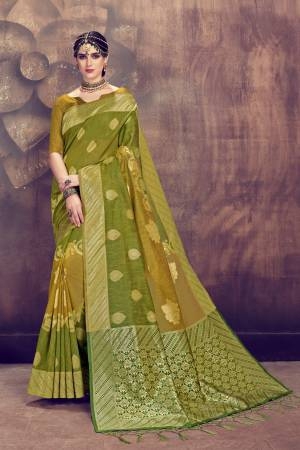 The sarees are available in various price ranges and we have made sure that there is something for everyone. Thus, you are sure to get one within your budget. Look gorgeous in our collection of these silk sarees. This Traditional Saree will make you feel like an ethnic diva. Hurry, add one of them to your ethnic collection.You can also get these sarees at a discounted price. We explore the recent fashion trend to make sure that our customers get trendy sarees. You can get the most incredible collection of Banarasi Kora silk at Craftsvilla. 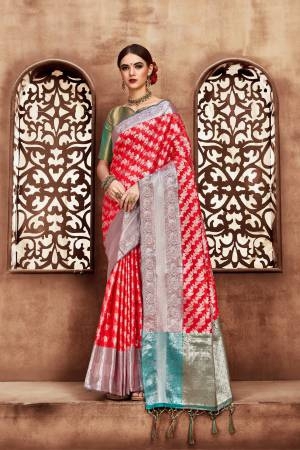 The sarees are elegant looking and can be donned on any occasion. You can wear them in a wedding, formal party, and a family gathering. You can also buy it as an office wear. Each one of our sarees will help you redefine your style. We have this silk in different patterns. Each one of this pattern is intricately and uniquely designed. We make sure that supreme quality material is used for the making of these sarees. Browse through our entire collection of exclusively crafted sarees only at Craftsvilla. With Craftsvilla, you do not even have to take the pain of going to a store. You can shop for affordable Kora cotton silk, online. 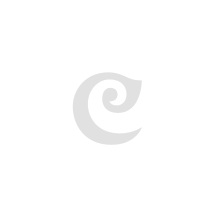 Craftsvilla offers you a wonderful shopping experience. Our collection of this silk saree is vivid, comfortable, and elegant. Choose one of these sarees for the next event and get ready to turn some heads. Team it with the right set of accessories and you are good to go.